I interpreted the phrase, "No pain, no gain," quite literally this past Saturday when I participated in the City Challenge Obstacle Race in Jersey City. I became an aficionado of alternative races (i.e. obstacle races like Urban RAID, mud runs like Rugged Maniac, and scavenger hunts like Great Urban Race) when I ran my first race last summer. I loved the sport's test of endurance and agility, as well as the spirit of teamwork, collaboration, and fun incorporated throughout the race. With the arrival of warm weather, I scoured the web for alternative races taking place near New York City and found out about the City Challenge Obstacle Race. 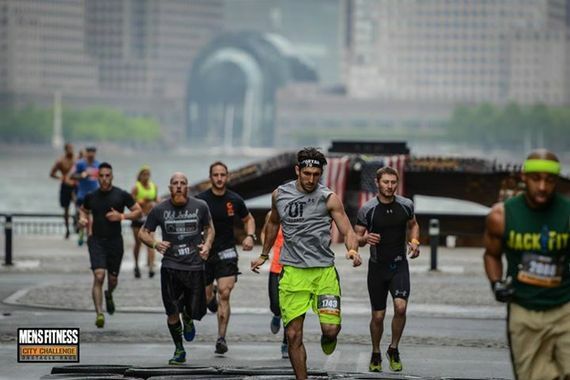 As the fastest growing obstacle race in the Tri-State area, the City Challenge Obstacle Race hosts races in Jersey City, Hoboken, and New York City. 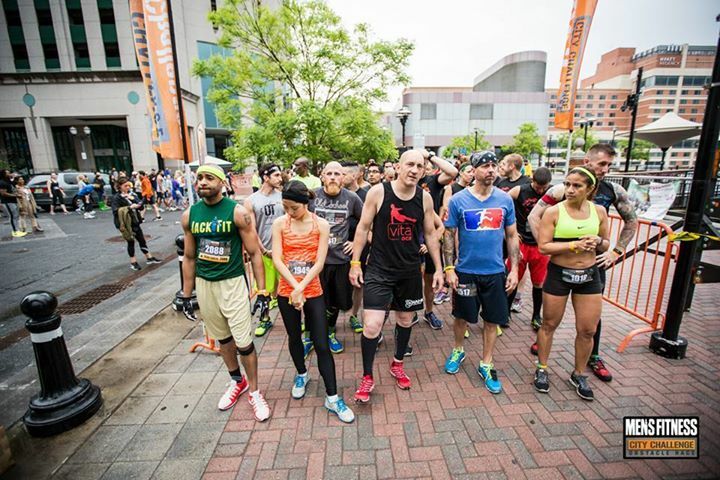 I decided to sign up for the first race of the year in Jersey City, a place I have only overlooked from a distance during my morning runs along the Hudson River. I was excited to explore the new terrain while overcoming challenges and obstacles in an urban setting. The weather forecast predicted heavy rains on the morning of the race. Sure enough, there were sporadic bursts of downpour that blanked the course, making the roads and the obstacles extremely slippery. However, the rain was not about to stop the City Challengers from conquering the race! With the blaring of the horn, everyone dashed to the obstacles, one of which included caravan parkour. I felt like a stunt woman as I jumped and slid over the hoods of two police caravans parked bumper to bumper. I am pretty certain that my somewhat clunky hurdle over these cars won't land me a job in a Hollywood action film, but a girl can dream! 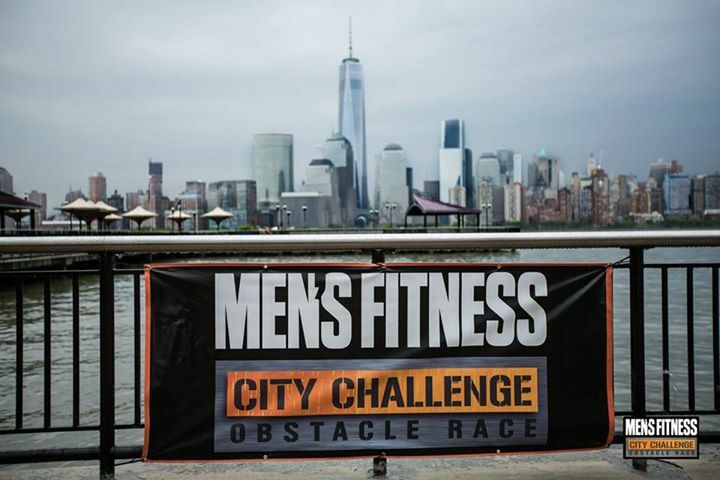 City Challenge Obstacle Race had the most obstacles per mile of any obstacle races I have participated. One after another, I was crawling under a net, climbing over high walls, or carrying heavy cinder blocks. 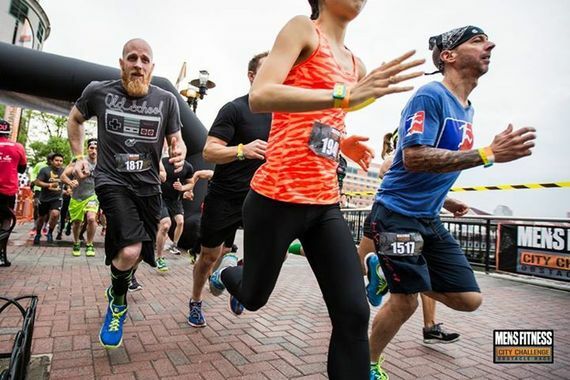 About half way through the race, the course looped around and made its way to the starting line where a large crowd gathered and cheered for the racers. For my next challenge, the Sand Bag Sprint, I picked up a drenched bag from the ground, hoisted it on my shoulder, and ran the perimeter of the boardwalk alongside the Hudson River. As I neared the end of the run, I wanted nothing more than to get rid of this heavy burden on my shoulder, so I abruptly "tossed" the sand bag where I had picked it up. I underestimated the bag's weight, and consequently fell on the ground with it. 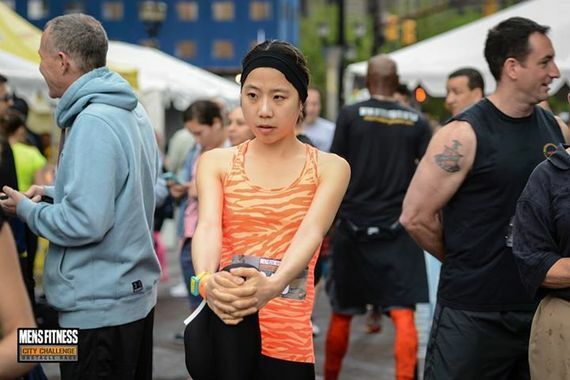 I heard a whisper of "ohhh" And "ouch" from the crowd as I landed hard on my knee, but I quickly got up like a spring and continued to run - both to evade humiliation and to finish the race! 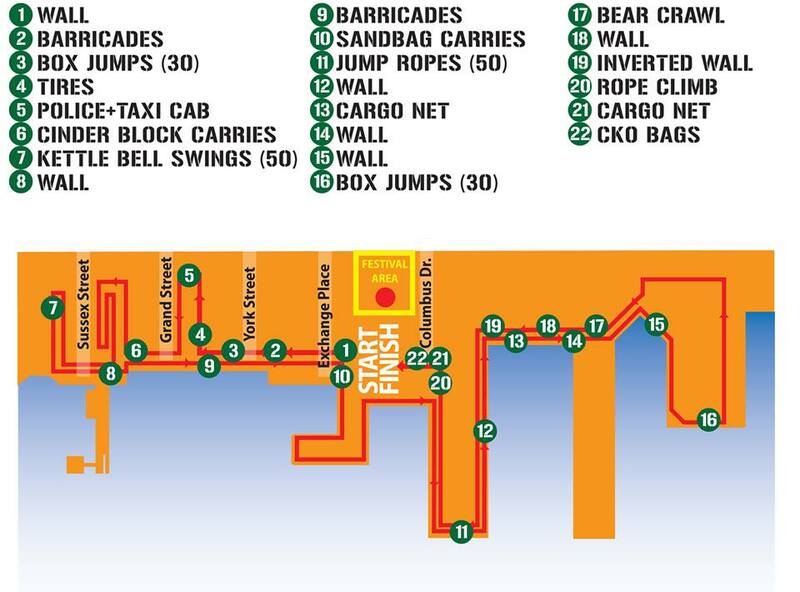 For the rest of the course, I traversed acriss the monkey bars, hopped over industrial road barriers, and charged through a gauntlet of kickboxing bags until I finally crossed the finish line. I had forgotten about the pain because of the rush of adrenaline, but when I lifted my spandex, I saw blood gushing out from the deep gash across my knee. I was immediately transported in an ambulance to the nearest hospital, where I parted with seven stitches, a leg brace, and a set of crutches. In hindsight, I should have stopped the race following the fall to minimize the injury. 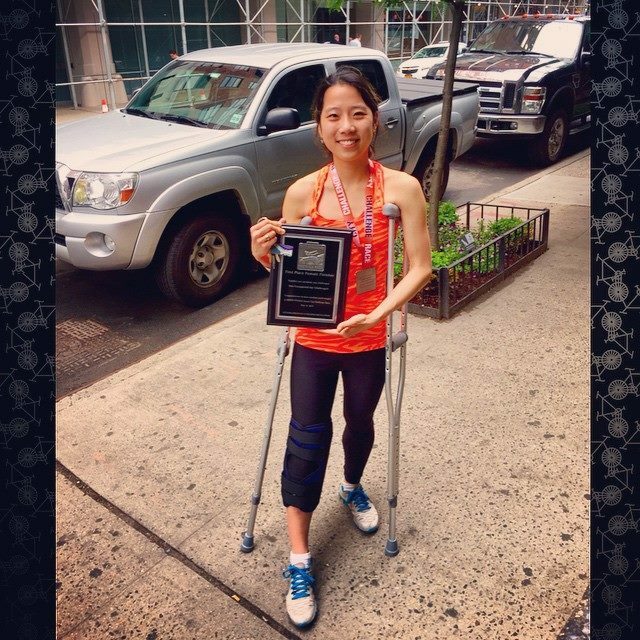 Because I had continued running - performing squats, doing jump ropes, and swinging kettle bells throughout the race - I had deepened the cut into a gash. But the risk I took (although I admit it definitely was not the smart one for my well-being) allowed me to bask in the glory of conquering - no, dominating - the challenge. Because did I mention? As a cherry on top, I got first place!